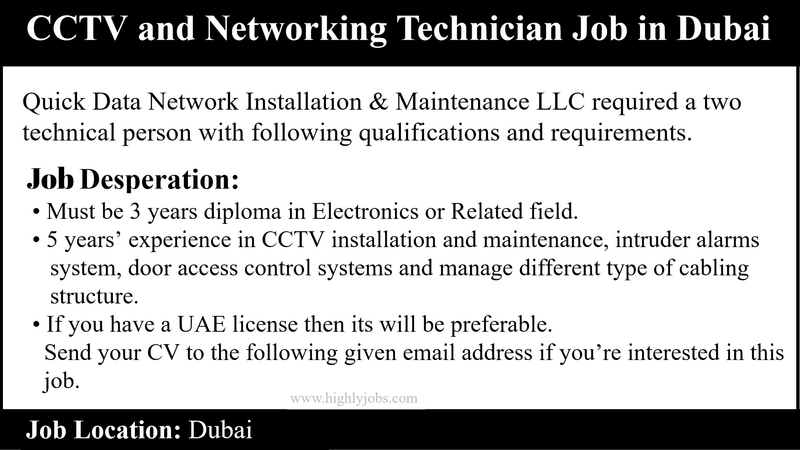 · Must be 3 years diploma in Electronics or Related field. · 5 years’ experience in CCTV installation and maintenance, intruder alarms system, door access control systems and manage different type of cabling structure. · If you have a UAE license then its will be preferable. Send your CV to the following given email address if you’re interested in this job.